The success of condition-based maintenance programs depends on the ability to drive collaboration among users and experts, and distribute results to decision-makers while having a dependable infrastructure to ensure security, reliability and flexibility. Cloud-based business infrastructures like software as a service (SaaS) can play a significant role, making it easier to share information and support a stable, actionable and sustainable program. While cloud computing is sweeping through enterprises for just about every application, condition monitoring and predictive maintenance (PdM) are no different. In fact, the PdM industry potentially stands to gain more from the cloud revolution than most any other industry. To date, PdM systems have been primarily isolated to individual laptop and desktop computers. PdM was completely left behind in the client-server boom of the 1990s. By moving to the cloud, PdM systems are gaining the advantages associated with the cloud, including cost savings, accessibility, collaboration and productivity. Enter reliability as a service (RaaS). RaaS is a solution that utilizes the broad reaches of cloud-based resources to give more insight into the necessary tasks of the people responsible for plant performance, safety and operations. Whether this includes giving certified analysts access to data to allow for collaboration on fault diagnosis, gaining second opinions from analytics experts, tracking events from fault diagnosis through repair process or relaying risk assessment and business metrics to management, RaaS overcomes collaboration obstacles associated with resource accessibility and driving communications across key stakeholders. To encourage greater adoption, RaaS models allow plants to license an application for use as a service on-demand through a subscription model rather than purchasing hardware and software to run stand-alone applications. In the RaaS model, plants need only a computer or a server to download an application and Internet access to run the software to take full advantage of centralized data management, power and security infrastructures coupled with collaboration tools and direct access to certified PdM experts. 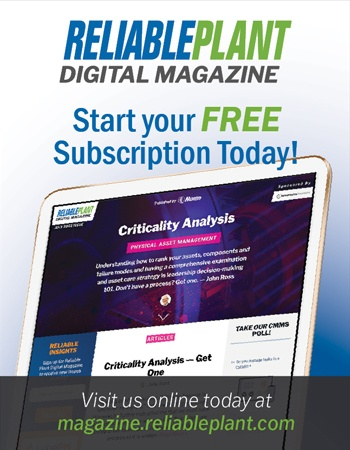 Despite being a relatively new term to the industry, plant management and reliability and maintenance professionals need to familiarize themselves with RaaS, as it enhances operational efficiencies, improves safety, keeps PdM programs and technology current and drives return on investment (ROI). The catalyst behind plants’ increasing interest in RaaS is the reduction of capital costs while assuring access to the latest technology. This provides a level of service that delivers reliable information and analysis with universal accessibility to information 24 hours a day, seven days a week. RaaS technology enables the “always on” business culture and removes the responsibility of implementing and maintaining an information technology (IT) infrastructure, which requires hardware investments beyond traditional data-collection hardware, software licensing, support and training costs. Rather than spending time managing an IT network – a function plant personnel are not specialized to handle – RaaS frees maintenance professionals to focus on reaching their reliability and uptime goals without the distraction of IT infrastructure. Though RaaS has considerable cost benefits, plants that rely on the cloud solely for that reason are not reaping the full benefits of the technology. The first and most important reason plants should evaluate RaaS is because it enables managers and employees to collaborate and share the results of their maintenance and reliability efforts in real time. Instead of sharing information among a small group in the maintenance or engineering department, machine condition health information can be accessed by all stakeholders, including external experts in the enterprise or local plant at any time. With greater transparency, the condition-monitoring program becomes synchronous with improving operations that are essential to plant availability and uptime goals. RaaS is accessible to personnel from operations, management, maintenance and engineering who are then in a position to make informed decisions that affect plant production and outage planning. This ensures the plant runs smoothly and managers outside the condition-monitoring program always have the most current machine condition information and, as a result, the knowledge to make well-informed decisions. For example, ACME Industrial Services is an integrated plant reliability maintenance company that uses RaaS to centralize all of its field engineers who are stationed all over the world. ACME’s central facility in India is fully integrated with the field engineers by using a predictive maintenance RaaS solution hosted by Azima DLI in Tukwila, Wash. At the central facility, engineers provide machine condition analysis support, and the results are published within the cloud. Customers can then view detailed condition information for their machines within their local plants rather than relying on spreadsheets delivered by email or other analog channels. In this example, the cloud provides an infrastructure that allows the Indian services company to streamline its workflow and better serve its clients from a central location. Overcoming the fears of even the most risk-averse IT professionals, cloud computing has proven to be a secure and effective technology. With the right education and experienced partner, a plant can easily become more comfortable about the safety, security and reliability of its data in the cloud. Do you clearly understand how the cloud computing offering works from the RaaS vendor? Does the vendor meet the IT security model of your plant? Does your plant have the delegated ability to control access to their system? Will your plant have clear lines of communication with the vendor for sales and technical support needs? Does the vendor have a structured change management and patch management process? Can I obtain a copy of my data if I need to? How accessible and knowledgeable is technical support? 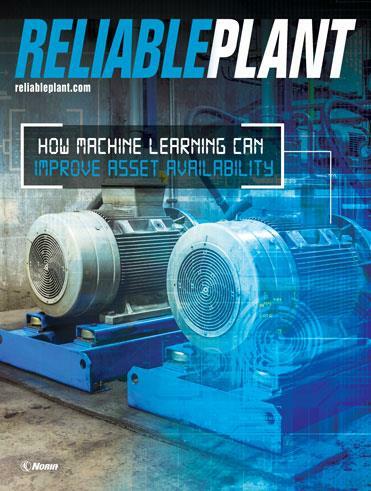 Admittedly, RaaS is still at nascent stages of adoption for predictive maintenance and condition-monitoring initiatives, so it’s recommended that plants "do their homework" and implement a thorough evaluation of a potential partner. Customer support, uptime and security protocols should be at the forefront of discussions when evaluating vendors, especially if this is the first foray into the cloud. A good RaaS partner is critical, as it will be the key in helping achieve the performance and budget goals that will catch the eye of senior management and keep predictive maintenance and condition-monitoring programs running smoothly. Burt Hurlock is CEO of Azima DLI (www.azimadli.com), a leading provider of predictive machine condition monitoring and analysis services.